Stamped steel meets rugged aluminum for a look that’s subtly elegant. Obsidian Series 550D comes with two front-mounted 120mm intake fans and one 120mm exhaust fan – more than enough for delivering the airflow required for a high-performance system. But if you’re pushing past high performance and into the realm of extreme-performance overclocking, there’s room for a lot more. The top panel provides room for two 120mm or 140mm fans, or a 240mm radiator for compatibility with Corsair Hydro Series CPU coolers and other liquid cooling systems. The side panel has mounting points for another two 120mm or 140mm fans for cooling multiple GPUs. In total, the 550D offers ten 120mm fan mounting points, six of which can also accommodate 140mm fans. With many high-end PC cases, cooling is often provided without consideration for noise. Not so with the 550D: the front and side panels are fully lined with sound-damping material, and the top and side panels have their own sound-insulated vent covers to reduce noise leakage from unused fan mounting locations. The front air intakes are angled away from the front of the case for noise reduction, and the fans and drive bays use silicone mounts to reduce vibration noise. The result is a platform for building high-performance PCs you can live with. The diamond-cut aluminum front panel includes two USB 3.0 connectors and audio connectors. Smart features for serious builders. 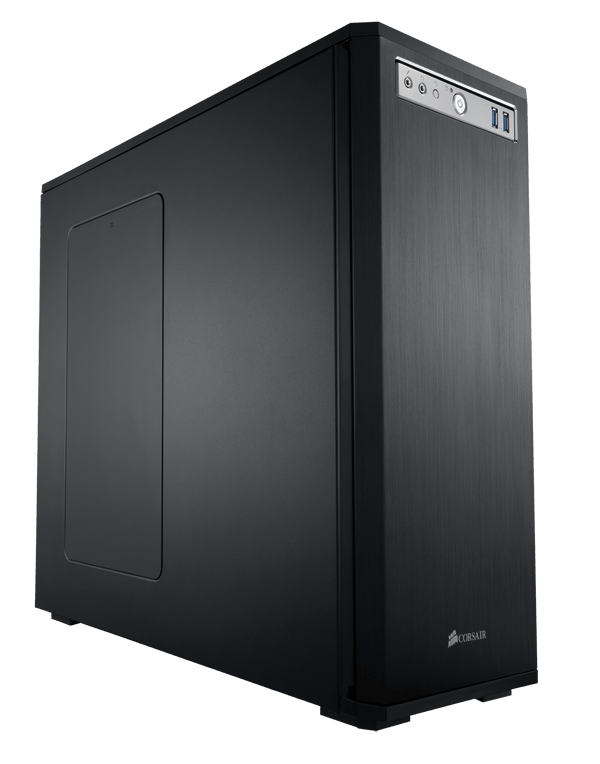 The extra touches like magnetically mounted dust filters and one-button side panel removal make building fun, and using a 550D-based system a rewarding experience. 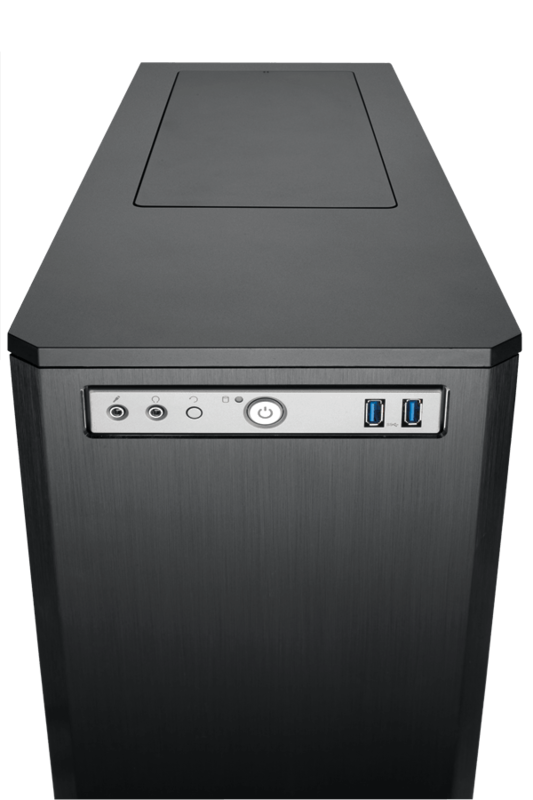 Expansion is easy, with eight expansion slots, six tool-free hard drive bays with removable caddies and integrated 2.5” SSD support, and four tool-free optical drive bays. The top drive cage can be removed to accommodate GPUs of up to 452mm in length. The diamond-cut brushed aluminum front panel houses two high-speed USB 3.0 connectors and audio ports. World-class Obsidian Series cases are made from stamped steel and brushed aluminum, providing both outstanding durability and great looks. State-of-the-art features are engineered with the singular purpose of meeting the needs of professional builders, high-end system integrators, and performance enthusiasts. Builds are straightforward and efficient, and there’s room for nearly any system configuration you can imagine.